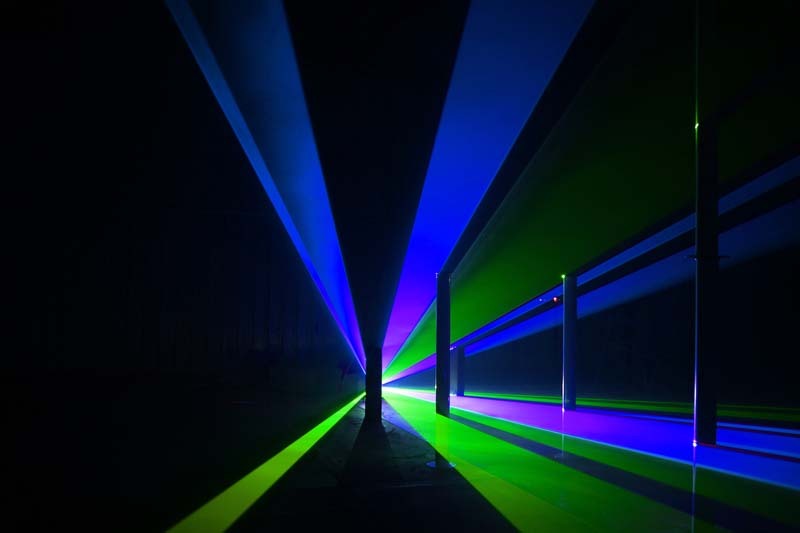 Melbourne-based media artist Jayson Haebich incorporates the latest innovations in technology in an artistic context. 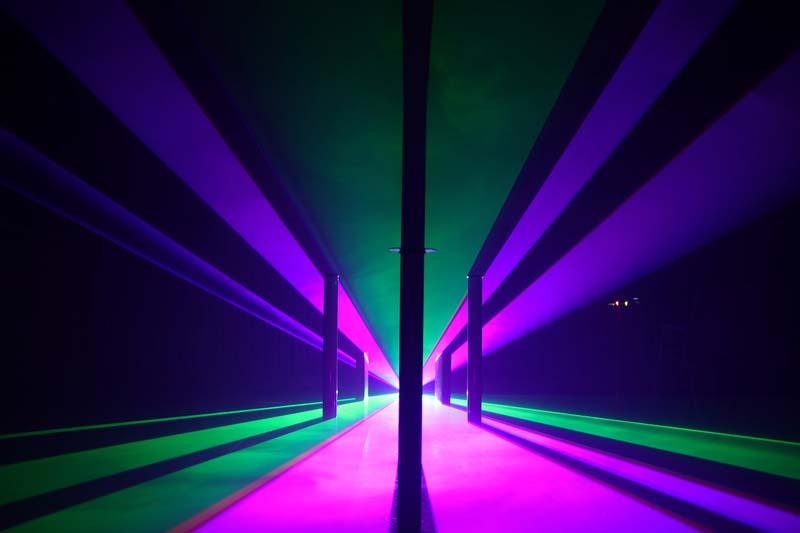 His series of light sculptures titled Vector Space use laser light, smoke, shadows, physical shapes and custom built software to create complex compositions of shadow and light. 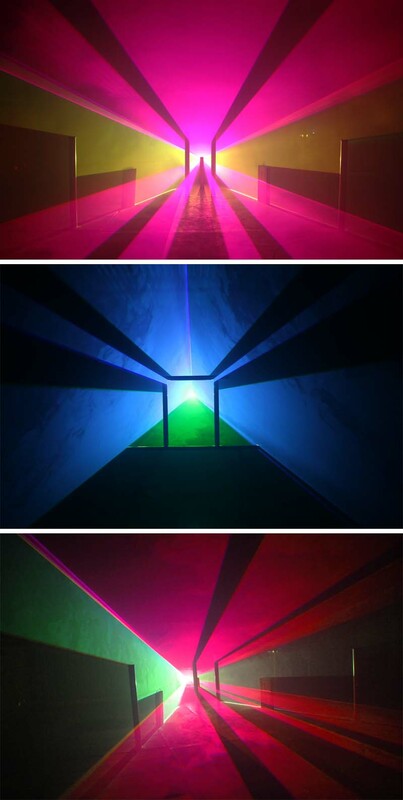 These static installation-like pieces play with the viewers sense of perception, filling a room with light and making it hard to distinguish between actual objects and the solid looking planes of illumination.